This spacious and thoughtfully designed homesite boasts 360 degree views in the prestigious Picacho Mountain Community. 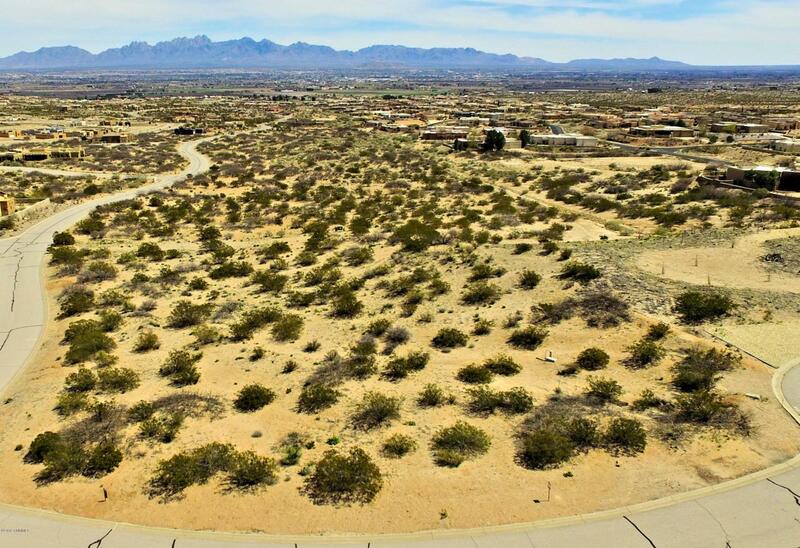 One of the best lots left, the homesite comes with Organ Mountain views, Mesilla Valley views, Picacho Mountain views and city views. Build your custom home and enjoy summer nights on the patio watching the incredible New Mexico sunsets. Picacho Mountain Master Planned Community is Southern New Mexico's only Certified Build Green Community. The vision for Picacho Mountain was born from a passion for community and dedication to excellence. At Picacho Mountain you will find a great community and breathtaking homesites. The homesite is just minutes to Picacho Peak recreation area, which is a 4959-foot high peak The recreation area has over 15 miles of mountain biking, hiking, and equestrian trails. The 1.5 mile trail to the peak provides spectacular views of the Mesilla Valley and the Organ Mountains.